I love colored wedding cakes. I especially love when the colors are bold. 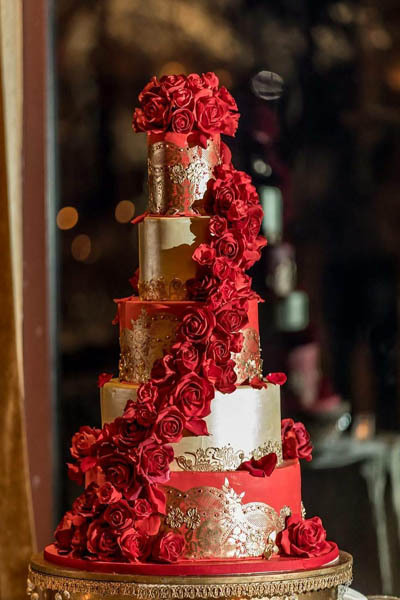 Paris and Andrew's wedding cake was just that - a beautiful bold shade of red. During our design session, we decided to offset the red with something more shimmery. Thoughts of using an ivory shimmer came up, but my idea was to add more of a real "wow" to the cake, something that really brought the design together. Since we were using gold as a design accent, a gold shimmer fit the bill. 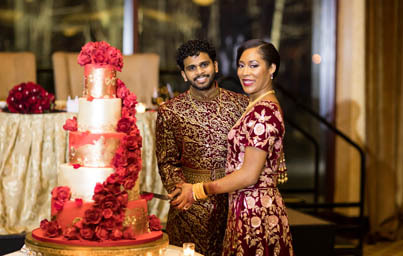 A beautiful, intricate lace design encircled 3 of the red cake tiers with a more simple design on the 2 gold shimmer tiers. Within each of those lace designs, bead work and piping were added, as well as tiny blossoms. 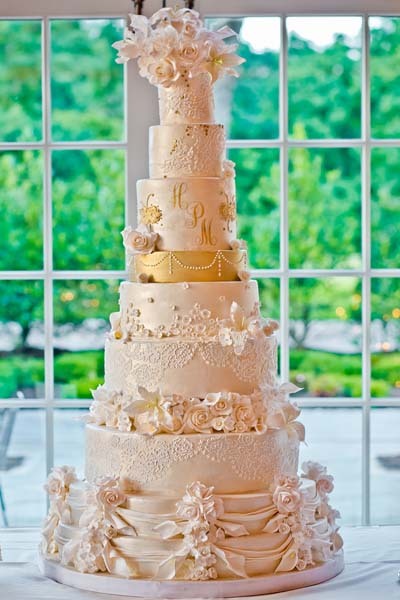 Beautiful sugar flowers in a cascade formation elegantly flowed down the front of the cake with a matching cake topper. 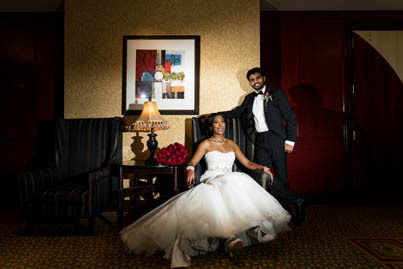 For the sugar flowers, we used shades of red to keep them more lifelike and avoid a gaudy look. 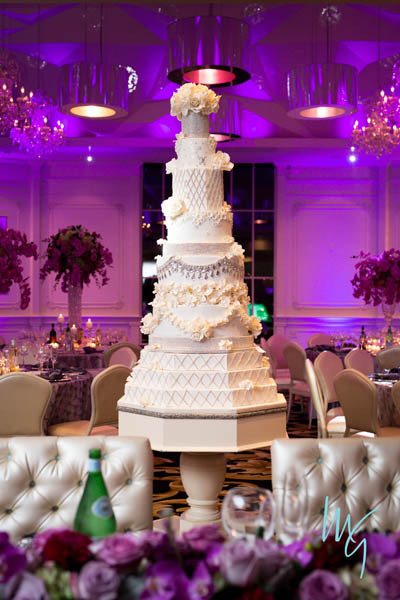 For their cake flavors, Paris and Andrew had three flavors for their 400 guests. They're flavors were: (1) chocolate cake with salted caramel buttercream, chocolate ganache and salted caramel sauce, (2) red velvet cake with cream cheese filling, and (3) white chocolate cake with lemon blueberry buttercream and a scant amount of lemon zest. Y.U.M.! !